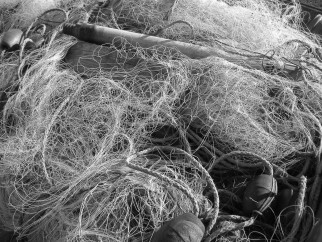 A sustainable bass fishery should not be so difficult to achieve and manage, once established the first step is to recognise the scientific and EU advice and put it into practice “get the nets out of the bass fishery ” it’s not as if others have not acted as pathfinders already. Our near neighbour Ireland has virtually revived its own bass fishery without the fracas that’s endemic in the usual procedures and trade-offs, and it is no coincidence that the Isle of Man is soon to follow the Irish blueprint with its own refinements added. Campaigning’s never easy and Bass has a long record of it, by its very nature it relies on assistance from related occupations or businesses , and the backbone being everyday anglers or supporters. if we want to have a voice then it’s going to become ever more usual that similar campaigns are run by individuals or organisations. It’s up to us to take up the opportunities to give angling a voice equal to the huge numbers involved and money it generates, and stop being overlooked or considered as bit part players. It was only November 18th the petition “get the nets out of the bass fishery petition” was launched and here we are closing in on the target figure, it’s been a fantastic effort by everyone involved and we have seen anglers from all disciplines, plus much of the angling media not forgetting angling journalists, helping push the campaign. It’s refreshing to see how much goodwill has been shown, the angling tackle trades been doing its part and the internet’s been buzzing with many across social media platforms. Below is just a small sample of the support we have received. Marc Cowling of South Devon Bass Guide. Matt Powell of Fishing And Foraging Wales / Welsh Bas Guide. Steven Neely of Fish On Lures and Angling Journalist. 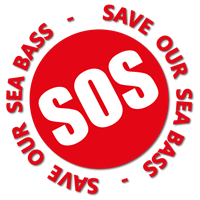 Do not let the scientific advice from ICES be completely forgotten, and Consider that the EU say there should only be a recreational and commercial hook and line bass fishery PLEASE follow options one to four by clicking the link below remember the emails are important too. great news if it happens and the gill nets are gone ,i am a fanatic bass fisherman and all i think about from march to november is bass and crab, last year i witnessed gill netting inside nursery areas on numerous occasions especially if there was fog in the mornings at first light and even a boat shooting a shotgun and killing seals from his boat after just laying hundreds of yards of gill net two hundred yards off the shoreline on the gower coast in front me fishing with lures off the rocks one evening ,.DISGRACEFUL ., Myself and friends i fish with catch and release all fish over 5lb and have done for years ,dont think i kept more than 20 fish this season around the 3lb mark out of 342 fish caught myself all from the shore upto just under 9lb so if thats not conservation i dont know what is. 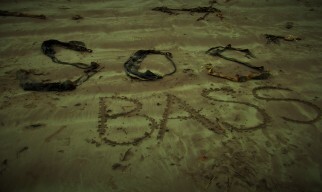 RECREATIONAL ANGLERS NOT THE PROBLEM, PLEASE GET THE GILL NETS OUT OF OUR FISHERY AND SAVE OUR BEAUTIFUL BASS .